As the Cambridge Analytica scandal has shown, private corporations consider it their right to use our data (and by extension, us) which ever way they see fit. Looking at the hidden origins of many internet corporations and platforms, Levine shows that this is a function, not a bug of the online experience. Beginning as a surveillance tool developed by ARPA for the Vietnam War, the internet has become essential to our lives. Despite repeated revelations of hacks, malware, government surveillance and corporate corruption, however, few of us stop to consider that the internet was developed, from the outset, as a weapon. Now, ever more famous Silicon Valley companies (which we are encouraged to view as neutral, even idealistic businesses) are entering into partnerships with the US government. 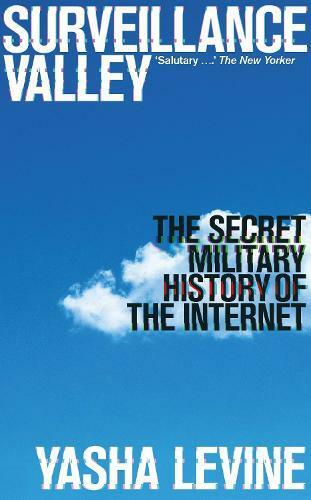 Clearly demonstrating how the same military objectives and control systems that drove the development of early internet technology are still at the heart of Silicon Valley (including as features of many so called ‘safe’ platforms like Tor or Signal) today, this revelatory and sweeping story will change the way you think about the most powerful, ubiquitous tool ever created.